Yt helps you write apps that need to interact with YouTube. The source code is available on GitHub and the documentation on RubyDoc. video.title #=> "Fullscreen Creator Platform"
The full documentation is available at rubydoc.info. Since the gem follows Semantic Versioning, indicating the full version in your Gemfile (~> major.minor.patch) guarantees that your project won’t occur in any error when you bundle update and a new version of Yt is released. Check fullscreen.github.io/yt for the list of methods available for Yt::Account. content_owner.policies.first.name #=> "Track in all countries"
All the above methods require authentication (see below). Check fullscreen.github.io/yt for the list of methods available for Yt::Channel. Check fullscreen.github.io/yt for the list of methods available for Yt::Video. Check fullscreen.github.io/yt for the list of methods available for Yt::Playlist. Check fullscreen.github.io/yt for the list of methods available for Yt::PlaylistItem. Show details of a comment_thread. Get details of a comment. Get details of a bulk report job. Get details of a bulk report. videos.where(order: 'viewCount').first.title #=>  "PSY - GANGNAM STYLE"
videos.where(chart: 'mostPopular', video_category_id: 44).first.title #=> "SINISTER - Trailer"
The methods above do not require authentication. Check fullscreen.github.io/yt for the list of methods available for Yt::Annotation. asset.metadata_mine.title #=> "Master Final   Neu La Anh Fix"
content_owner.assets.where(labels: "campaign:cpiuwdz-8oc").first.title #=> "Whoomp! (Supadupafly) (Xxl Hip House Mix)"
The methods above require to be authenticated as the video’s content owner (see below). Yt leverages Active Support Instrumentation to provide a hook which developers can use to be notified when HTTP requests to YouTube are made. This hook may be used to track the number of requests over time, monitor quota usage, provide an audit trail, or track how long a specific request takes to complete. 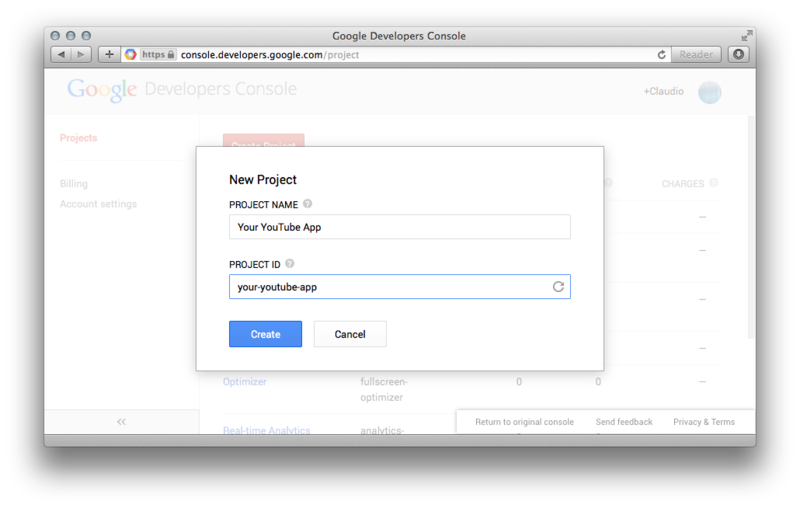 In order to use Yt you must register your app in the Google Developers Console. 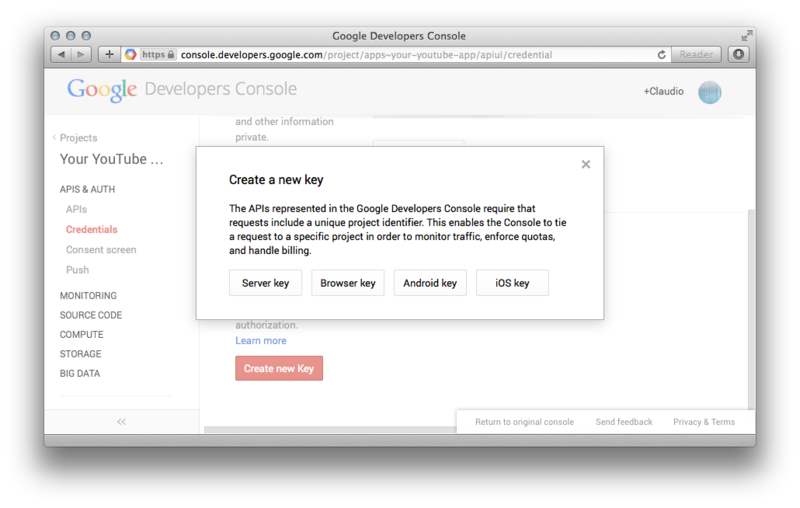 The next step is to create an API key. Depending on the nature of your app, you should pick one of the following strategies. 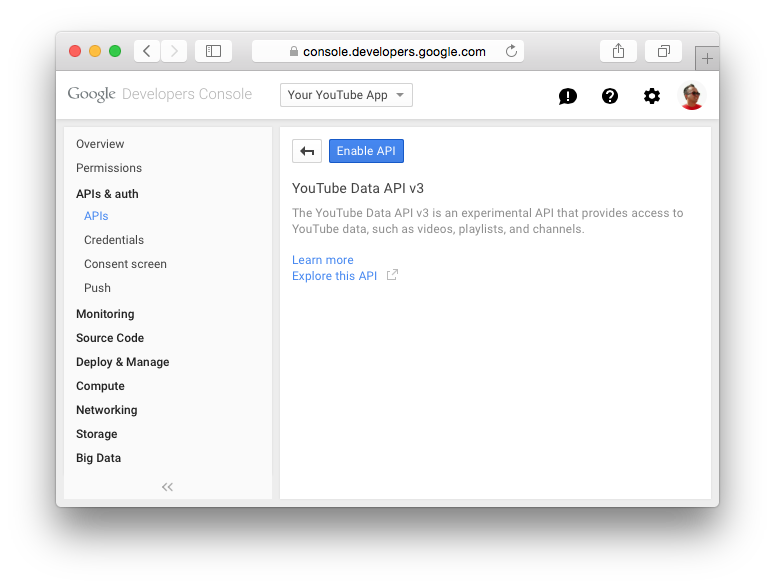 If you are building a read-only app that fetches public data from YouTube, then all you need is a Public API access. Remember: this kind of app is not allowed to perform any destructive operation, so you won’t be able to like a video, subscribe to a channel or delete a playlist from a specific account. You will only be able to retrieve read-only data. Scenario 3. 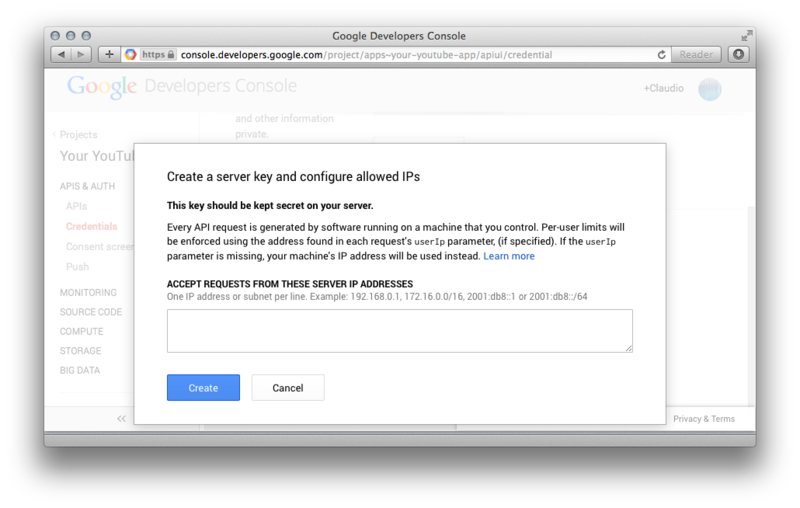 If you don’t have any account’s token, then you can get one by having the user authorize your app through the Google OAuth page. Fill the "Authorized Redirect URI" textarea with the URL of your app where you want to redirect users after they authorize their YouTube account. where redirect_uri is the URL you entered in the form above, and scopes is the list of YouTube scopes you want the user to authorize. Depending on the nature of your app, you can pick one or more among youtube, youtube.readonly userinfo.email. so use the approach that you prefer. If a variable is set in both places, then Yt.configure takes precedence. … and not youtube_it? Because youtube_it does not support YouTube API V3, and the YouTube API V2 has been officially deprecated as of March 4, 2014. If you need help upgrading your code, check YOUTUBE_IT.md, a step-by-step comparison between youtube_it and Yt to make upgrade easier. 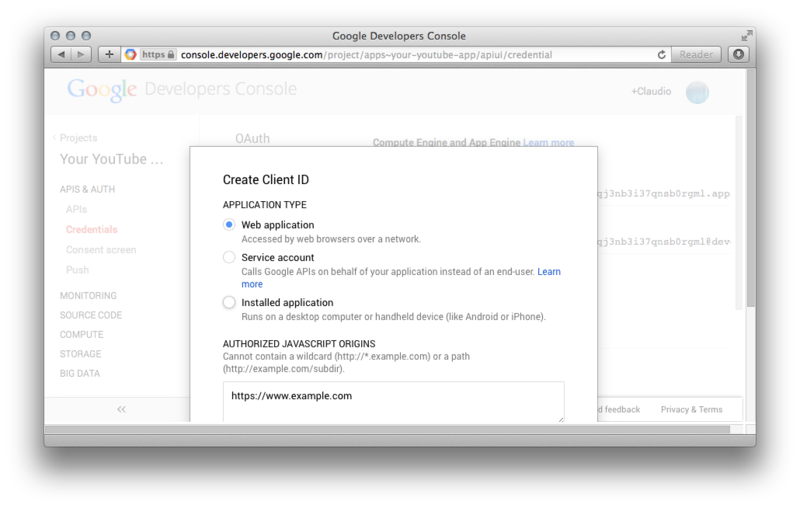 … and not Google Api Client? Because Google Api Client is poorly coded, poorly documented and adds many dependencies, bloating the size of your project. … and not your own code? 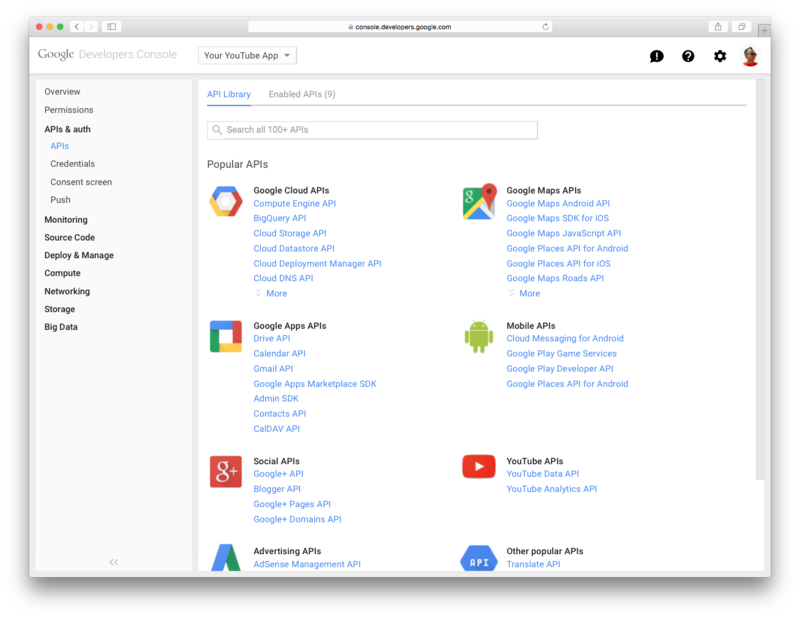 Because Yt is fully tested, well documented, has few dependencies and helps you forget about the burden of dealing with Google API! The reason why some tests actually hit the YouTube API is because they are meant to really integrate Yt with YouTube. 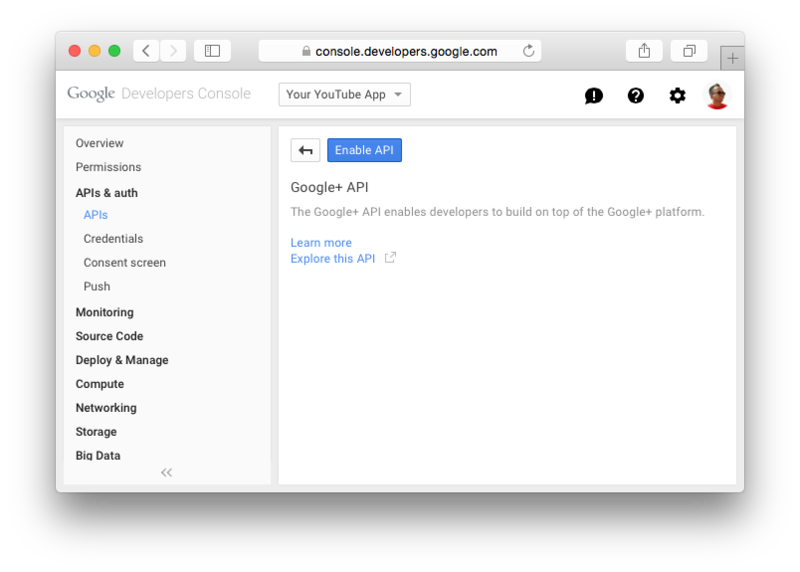 YouTube API is not exactly the most reliable API out there, so we need to make sure that the responses match the documentation. You don’t have to run all the tests every time you change code. Travis CI is already set up to do this for when whenever you push a branch or create a pull request for this project. This will fail unless you have set up a test YouTube application and some tests YouTube accounts to hit the API. Once again, you probably don’t need this, since Travis CI already takes care of running this kind of tests. If you are a manager of this project, remember to upgrade the Yt gem whenever a new feature is added or a bug gets fixed. Yt needs your support! 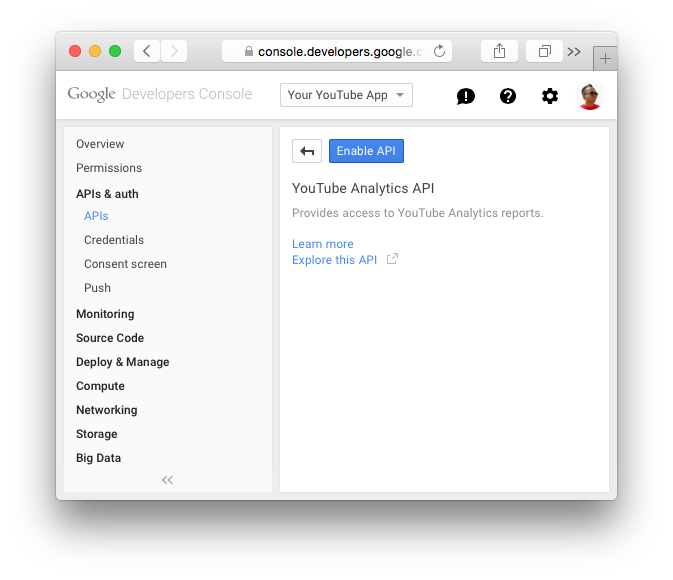 The goal of Yt is to provide a Ruby interface for all the methods exposed by the YouTube Data API (v3) and by the YouTube Analytics API. If you find that a method is missing, fork the project, add the missing code, write the appropriate tests, then submit a pull request, and it will gladly be merged! Generated on Wed Apr 17 23:06:18 2019 by yard 0.9.19 (ruby-2.5.1).